Recently, our sales team performed some complex three dimensional test cuts for a customer using 2" thick acoustic fiberglass. The ZXL-2543-5 showroom model waterjet was set up for cutting 5-Axis with water only, and our team captured the test cut process from start to finish to share with you. The first step is to determine the parameters for the part, as well as create the part program. In this example, WARDJet uses IGEMS software with the CAM 5X module which can simulate 3D cutting and incorporates all of the waterjet-specific profiles like acceleration and ramping in the Advanced Bevel panel. Once the part is programmed, the next step of the process is test cutting on the waterjet. Since this part is cut using water-only, the showroom model ZXL-2543-5 is set up with a water-only cutting head assembly. The Z-Series waterjets are incredibly versatile machines which can cut with abrasive or pure water, and can be optimized to include height sensors, 5-Axis cutting heads, drills, taps, and more. 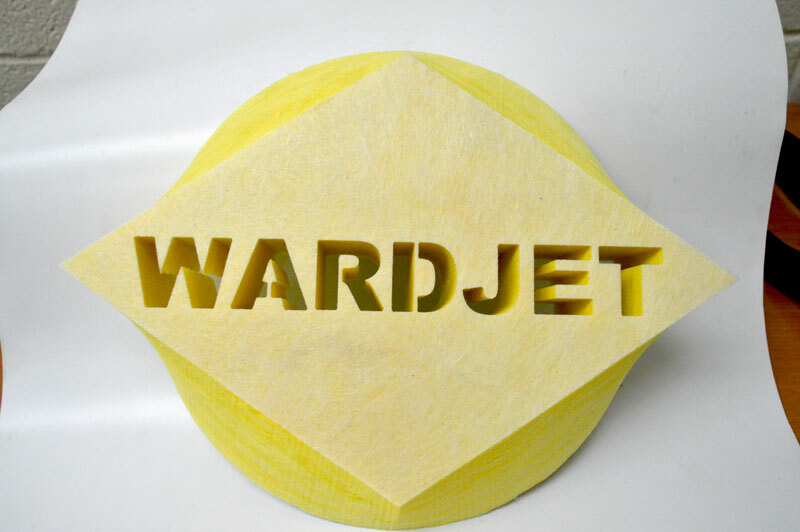 WARDJet is the industry leader in 5-axis water-only cutting, and we'd love the opportunity to work with you in your specific application. If this is something that you are interested in, please contact our sales department to begin the discussion.